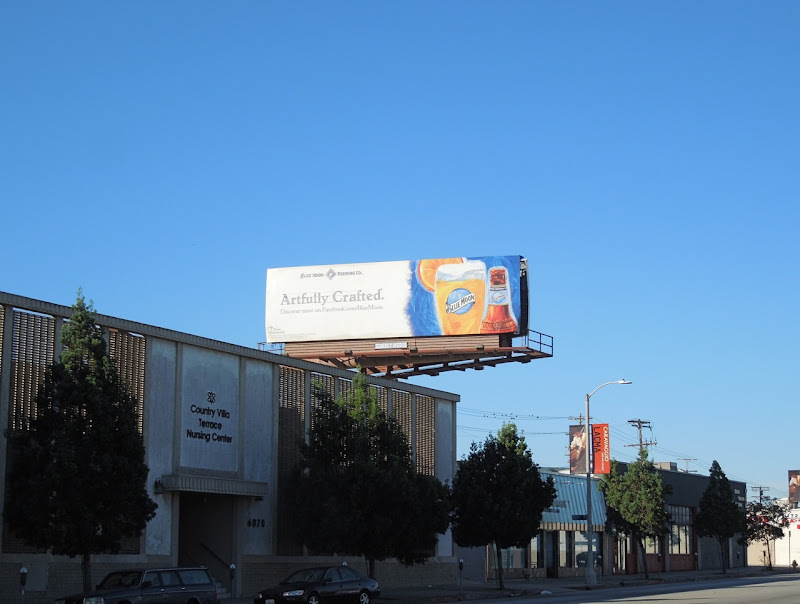 Now that we're in the final countdown to the Holidays a few more festive billboards have started to pop up around L.A. (where the sun continues to shine for longer than most places). 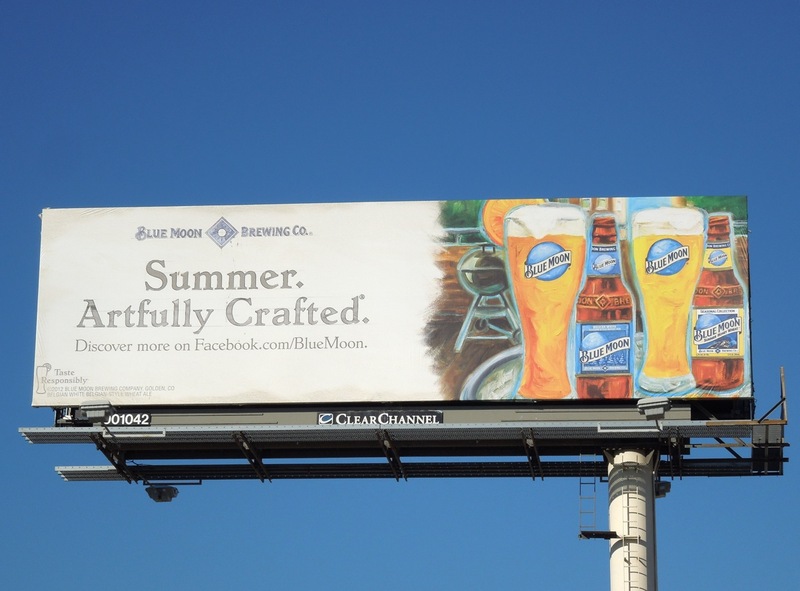 These billboards for the Blue Moon Brewing Co. are rather artfully crafted as their campaign works both in Summer and Winter, which is pretty handy when you specialise in seasonal beers like Summer Honey Wheat and Winter Abbey Ale, as well as regulars like Belgian White varieties. 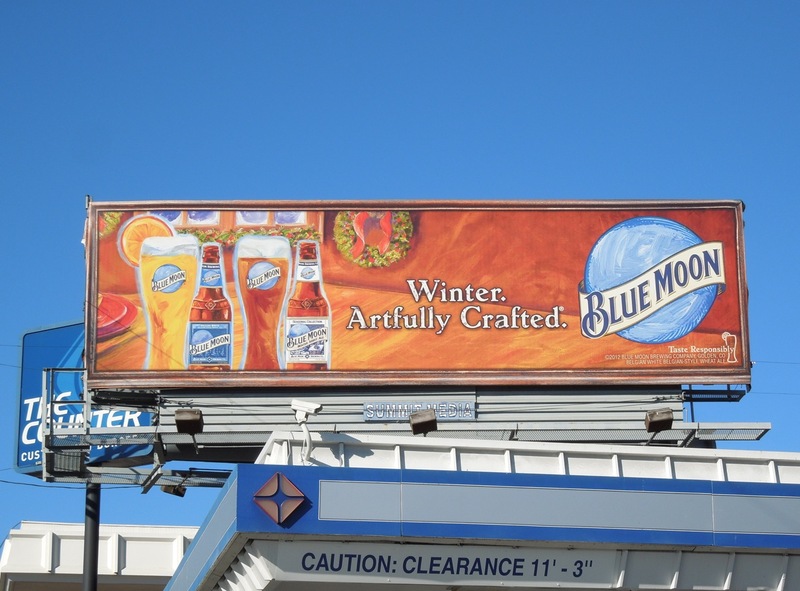 The 'Winter' ad creative was spotted on November 23, 2012 along Sunset Boulevard where it had recently appeared, whilst the 'Summer' version was snapped along La Brea Avenue where it had been for a little while longer. 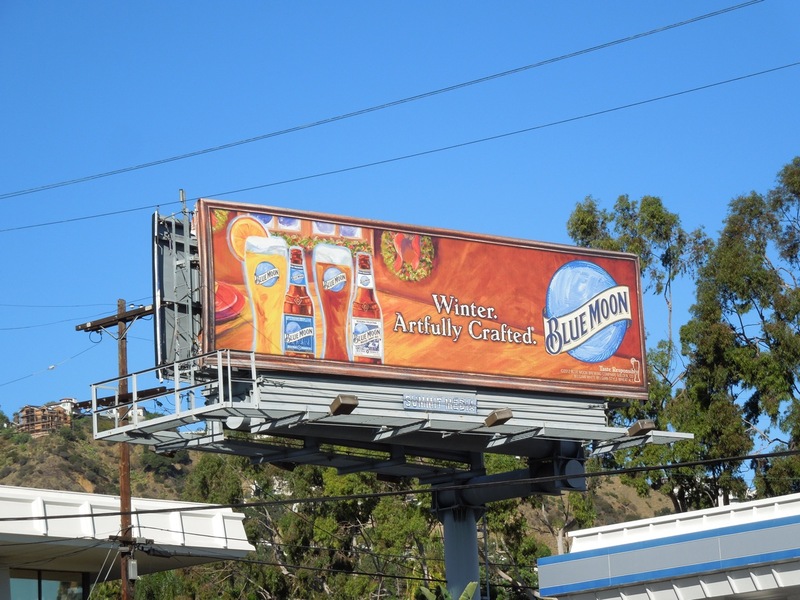 If you're a beer fan, be sure to check out all these other thirst quenching beer billboards here at Daily Billboard. 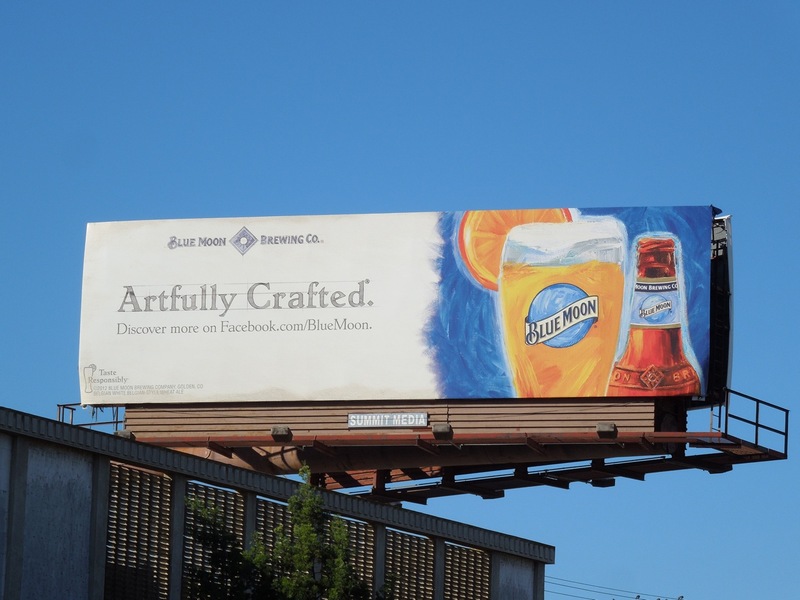 UPDATED: Here's another 'Artfully Crafted' Blue Moon creative featuring the beer with its signature orange slice which was spied along Pico Boulevard on December 15, 2012. 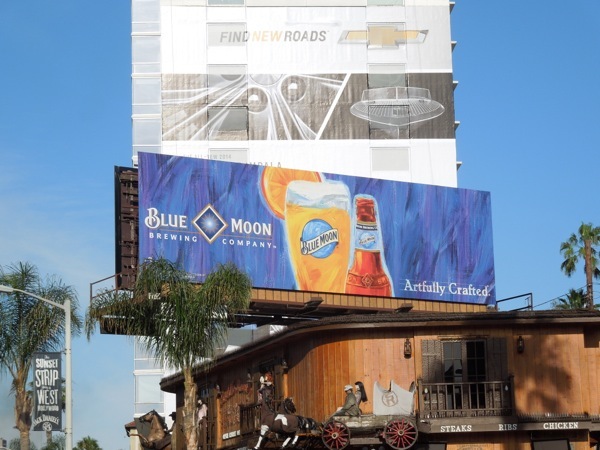 UPDATED: For their return to Sunset Boulevard this Summer, Blue Moon has gone even bluer with their ads, like this one snapped along the Sunset Strip on June 11, 2013. 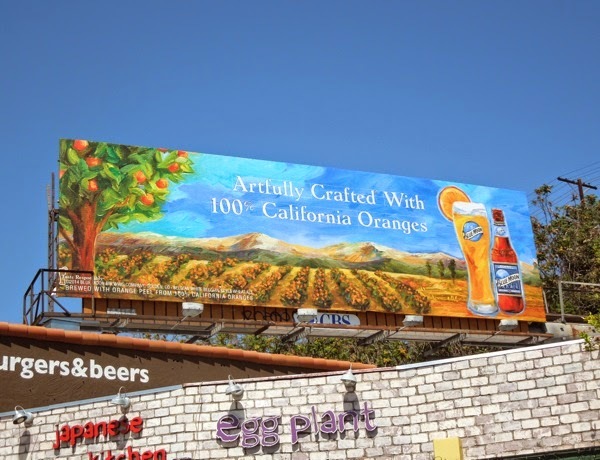 UPDATED: In 2014 it looks like Blue Moon is trying to convince more Californians to drink its beer by highlighting the fact the oranges used in the brewing process are 100% locally sourced. 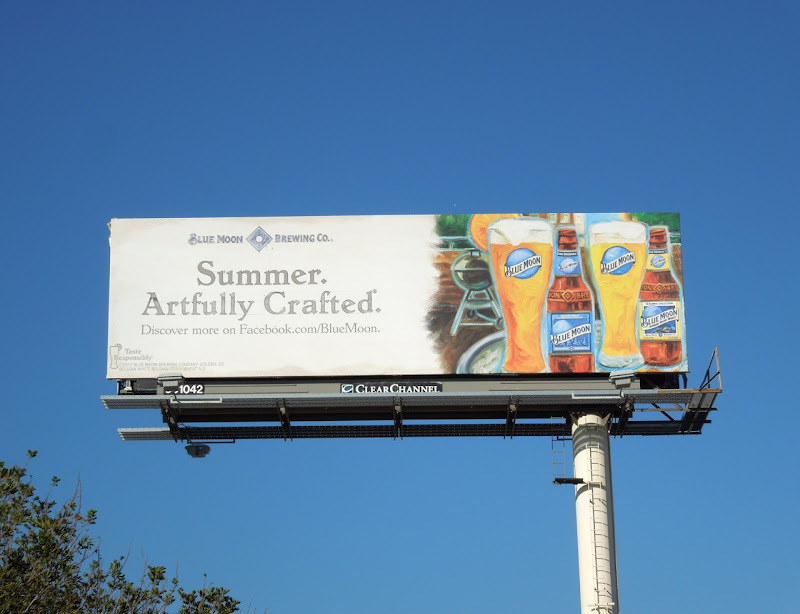 This Artfully Crafted creative was spied along Ventura Boulevard in Studio City on June 27, 2014.